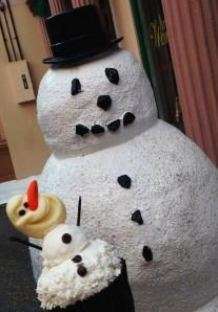 There are exciting new things popping up every day at the Walt Disney World Resort in Florida! 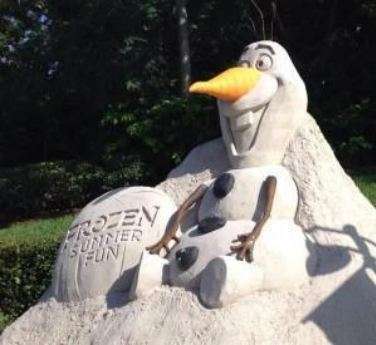 Join us every week to read about what’s new “Around the Mouse.” This week’s Walt Disney World news update features: new FROZEN entertainment, restaurant changes, a sneak peek of ‘Guardians of the Galaxy’ and more! New! Celebrate ‘Frozen Summer Fun’ with New Specialty Cupcakes: Three new cupcakes will be sold as part of ‘Frozen Summer Fun’ at Disney’s Hollywood Studios. The Olaf cupcake is a carrot cupcake with cream cheese icing and a white chocolate Olaf. The Olaf cupcake is available for just $5.19 at select quick service locations: Studio Catering Co., Pizza Planet Arcade, ABC Commissary, Rosie’s All­American Cafe, Backlot Express, Fairfax Fare, Oaken’s Funland, Starring Rolls Cafe,and Coffee Cart. Anna and Elsa cupcakes are also available. The Anna cupcake is chocolate with buttercream, and the Elsa cupcake is vanilla with buttercream. Both are topped with a themed white chocolate medallion. These cupcakes are available for $5.19 at the following locations: Backlot Express, Oaken’s Funland, and Starring Rolls Cafe. These treats are part of the Disney Dining Plan and will be available through Sept. 1. Reminder! ‘Frozen Summer Fun – Live’ Now at Disney’s Hollywood Studios: This summer, the world of “Frozen” takes center stage at Disney’s Hollywood Studios. Starting July 5, a summer­long happening, featuring a full day of all ­new, immersive “Frozen” experiences you won’t want to miss, take place every day through September 1! 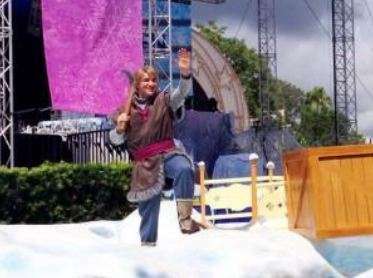 Experiences include: a Royal Welcome parade, a sing­a­long show, a Wandering Oaken’s Trading Post & Frozen Funland (with a snowman building area with real snow and ice skating), a dance party and Frozen­themed fireworks. More details are available here. Reminder! Frozen Summer Fun Premium Package: The Frozen Summer Fun Premium Package, available daily from July 5 – September 1, 2014 (with the exception of August 23), will offer guests reserved viewing for three of the park’s most anticipated new experiences. This package is a great way to see the Frozen activities without having to wait in line or line up early for parade or fireworks. Guests who book the package enjoy refreshments and reserved viewing for Anna & Elsa’s Royal Welcome procession at 11:00 a.m. Later on, they’ll experience reserved seating at one showing of For the First Time In Forever: A Frozen Sing-­Along Celebration, which takes place between 12:30­7 p.m. The evening will end from 8:30 – 10PM with an exclusive dessert party in a reserved area for viewing of the nighttime Frozen fireworks spectacular. 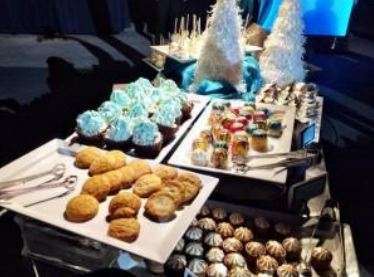 Packages cost $59 for adults and $34 for children (including tax and gratuity). Park admission is required as well. New! Some Performances of Move It! Shake It! Celebrate It! Cancelled: Due to upcoming concrete work on Main Street, U.S.A., there will not be morning performances of the Move It! Shake It! Celebrate It! Street Party on the following dates: July 9, July 11 and July 25. The parade will only perform at 5:40 and 7 p.m. on these dates. The Trolley Show will use the Main Street Fire Truck. New! Pizzafari Gets New Breakfast Menu: Pizzafari now has a new breakfast menu. While some items are being changed slightly, others are being replaced with the following new items: Breakfast croissant with egg whites, spinach, provolone and vegetable chutney; Breakfast burrito with scrambled eggs, sausage, peppers, cheese and salsa; Ancient grain hot cereal, which is a rustic blend of oatmeal, barley and quinoa simmered with aromatic spices and topped with a salted caramel crumble; Kid’s breakfast pizza, which is topped with scrambled eggs, chopped bacon and cheddar cheese; Toasted bagel and Multi­grain croissant. New! Candlelight Processional Dining Packages On Sale Now: Guests can start booking their Candlelight Processional Dining Packages. The event starts the night after Thanksgiving (November 28) and runs through December 30. About half of the celebrity narrators have been announced. Read more. Reminder! ‘Guardians of the Galaxy’ Sneak Peek Coming to Disney’s Hollywood Studios July 4: Starting July 4, “Guardians of the Galaxy” is coming to Disney’s Hollywood Studios in an exclusive sneak peek at ABC Sound Studio in RealD 3D, offering Guests an extended look at scenes from the film before it opens in theaters. “Guardians of the Galaxy” finds space adventurer Peter Quill the object of a bounty hunt after stealing an orb coveted by a treacherous villain, but when Quill discovers the power it holds, he must find a way to rally the quartet of ragtag rivals hot on his trail to save the universe. “Guardians of the Galaxy,” releases in U.S. theaters on Aug. 1. New! BoardWalk Flying Fish Cafe to Serve Breakfast for a Limited Time: Guests will be able to enjoy breakfast at Flying Fish Cafe at Disney’s BoardWalk Resort this fall, for a limited time. Breakfast fare will include waffle with tiramisu mascarpone, soft polenta with fennel sausage, frittata with roasted red pepper and prosciutto and more. The restaurant will offer breakfast October 1­December 7, 7:30am – 11:00am. The restaurant is now available for booking. Reminder! Kouzzina by Cat Cora Closing Sep 30, 2014: A new restaurant concept will be added to Disney’s BoardWalk this fall. To make room for this new experience, the last day of operation at Kouzzina by Cat Cora will be Sept. 30. Guests can continue to book reservations for Kouzzina by Cat Cora through Sept. 30. New! Updated Age Guidelines for Disney’s Magical Express: In an effort to align with the policies of many major airlines, Disney’s Magical Express has modified the guidelines regarding minors traveling without a parent or legal guardian. Effective immediately, Guests must be 12 years of age or older to travel unaccompanied on Disney’s Magical Express. Prior to the change, the minimum unaccompanied age to board Disney’s Magical Express was 16 years of age. New! 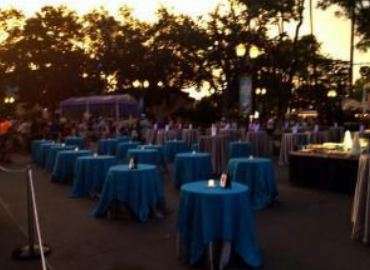 Pearl Factory Temporary Closure at Downtown Disney: July 6 is the last day of operation for Pearl Factory, and it will be temporarily closed from July 7­28. Guests can still purchase items at the Pearl Factory location at Yacht & Beach Club Resorts. Reminder! Disney’s Wilderness Lodge Silver Creek Springs Pool to Close for Refurbishment: The main pool and slide will be closed for enhancements at Disney’s Wilderness Lodge. During this time, the leisure pool at The Villas at Disney’s Wilderness Lodge will remain open. Guests will also have the opportunity to visit either the Main Pool at Disney’s Contemporary Resort or the Meadow Swimmin’ Pool at Disney’s Fort Wilderness Resort & Campground. Complimentary transportation will be provided to both of these neighboring resorts. Reminder! Disney’s Polynesian Resort Pool to Close for Refurbishment: The main pool and slide (Nanea Volcano Pool and Slide) will be closed for enhancements July 26, 2014 through early 2015. Guests who stay at Disney’s Polynesian Resort while the main pool is closed will receive one complimentary ticket for each member of their party to visit Disney’s Blizzard Beach Water Park during their stay. Reminder! Monorail Hours Temporarily Adjusted: If you are visiting Walt Disney World on or after June 22, you should know the monorail service will have reduced hours to accommodate enhancement work. Watercraft and additional buses will be available to Guests. No end date has been provided for this temporary change.